The grant, awarded to the Florida Department of Economic Opportunity, is part of a campaign to put those affected by addiction and abuse back to work. The U.S. Department of Labor is fighting the opioid crisis by sending $2.5 million to Florida, including the Tampa Bay area. 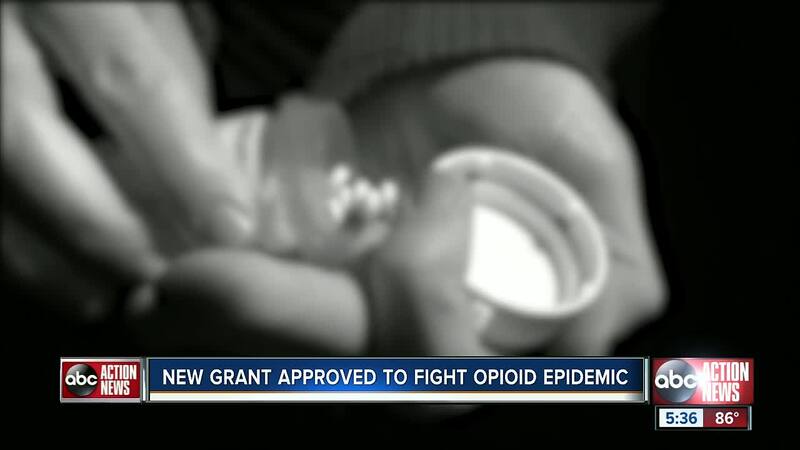 The grant, awarded to the Florida Department of Economic Opportunity, is part of a campaign to put those affected by addiction and abuse back to work. The money will provide jobs at community centers for mental health and substance abuse. The project will take place in Manatee, Sarasota and Brevard counties. In December , I-Team Investigator Kylie McGivern found the Tampa Bay area is home to some of the hardest hit areas in the state, with drug overdose death rates topping the state average. The grant will be used to fund positions such as addiction counselors and peer recovery specialists, as well as employment services to people seeking careers in professions related to addiction, treatment, prevention and pain management. Florida is among more than 1,500 state and local governments fighting the crisis by taking opioid drug makers to court. Massachusetts prosecutors alleged internal company documents reveal what Purdue Pharma, the maker of OxyContin, "publicly denied for decades" that opioids are addictive. Most recently, local governments also joined more than 600 cities and counties in filing a federal lawsuit against the family who owns Purdue Pharma. The suit that includes Bradenton, St. Petersburg, Pinellas Park, Hernando, Pasco and Pinellas counties, names eight members of the Sackler family, accusing them of falsely marketing opioids as safe, leading to thousands of overdose deaths.